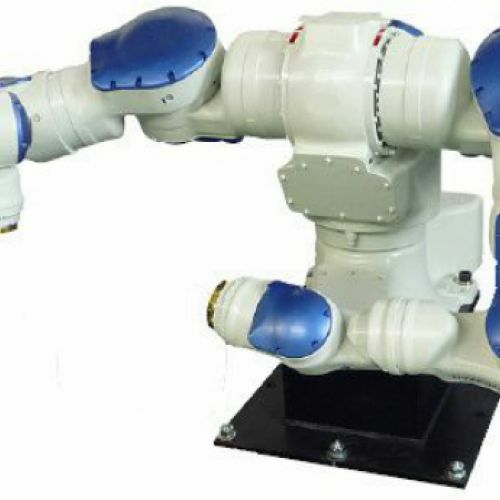 SDA20F robot design double thin flexible 7-axis arm that can work together or independently. Its structure is based on actuators that allow it to be adaptable and with rapid acceleration. 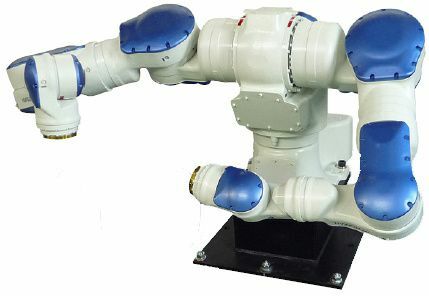 Characterized by its ability to perform difficult tasks they can even work together arms to double the load and manipulate heavy parts, the simplified tool reduces the cost. It is ideal for dangerous environments.